CK Be EDT 100ml. fragrance is an easy way to stand out with taste. Home » CK Be EDT 100ml. 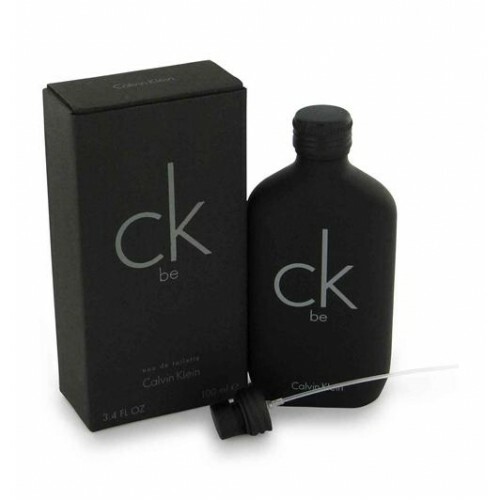 Product Code: CK Be EDT 100ml. CK Be EDT 100 ml. Perfume Calvin Klein Ck Be is a unisex fragrance. This fresh woody fragrance is ideal for everyday use. Top notes are lavender, green notes, mint, mandarin, juniper berries, bergamot. Sheet "Hearts": wild green grass, orchid, freesia, magnolia, jasmine, peach. Base notes: amber , musk, vanilla, opoponax, cedar and sandalwood. This is not a new flavor (in fact it was created back in 1996). But despite this, it is still relevant and in demand. This refreshing woody fragrance, which are the main notes are mandarin orange, plum, nutmeg and sandalwood, leaves no one indifferent. This fragrance is perfect for both women and for men. These spirits were created for everyday use, because they are very unobtrusive and pleasant, are fruit and spicy group. It is a rich and full-bodied. This universal perfume will be an excellent addition to both the female image and the male. Do not be embarrassed that it fits all. It is a chameleon fragrance that will sound absolutely different in a man and a woman. He will undoubtedly emphasize male charisma, courage and freedom of action, and also emphasize and favorably singles out female playfulness, riddle and temperament. If the couple smells at the same time with this fragrance, all the same everyone will be unique and individual, and together they will arouse public interest and simply attract a lot of views. Calvin Klein CK Be is an easy way to stand out with taste.